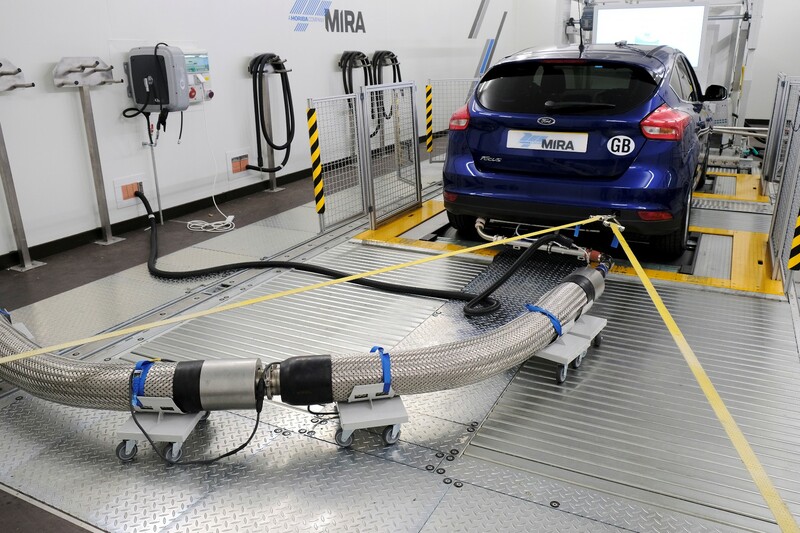 A new facility at HORIBA MIRA enables climatic testing to be carried out for exhaust emissions in line with new regulations. HORIBA MIRA has enhanced its test and engineering capabilities following the official launch of its dedicated Advanced Emissions Test Centre (AETC). Developed in response to increased scrutiny around tailpipe emissions, as well as new legislation requiring extensive and increasingly complex testing methods, the AETC represents a total of almost £8m investment into the organisation’s engineering facilities. The AETC facilities will provide testing capabilities for global compliance, including Euro 6d Worldwide Harmonised Light Vehicles Test Procedure (WLTP), as well as incorporating Real World Driving Emissions (RDE) testing capabilities. The 12,000 sq. ft facility was officially opened by HORIBA Chairman, CEO and President, Mr. Atsushi Horiba. Located at its headquarters in Nuneaton, the facility is centred around a four-wheel drive (4WD) climatic chassis dynamometer and includes three individual climatic soak rooms and an ambient soak room. The combination of the 4WD dynamometer, range of climatic conditions and state-of-the-art HORIBA emissions systems will allow the determination of exhaust pollutants over a range of climatic conditions, from temperatures of -20°C to 35°C. Engineers at the facility will work closely with vehicle manufacturers, offering the full gamut of emissions testing which complies with current and foreseen future emissions regulations – including additional Type Approval for RDE. George Gillespie OBE, CEO at HORIBA MIRA, commented: “We are incredibly proud to officially open our new Advanced Emissions Test Centre together with the HORIBA Group. Vehicle manufacturers will now have access to world-class facilities and engineers to ensure their vehicles meet new emissions regulations, housed in one location in our central England headquarters.